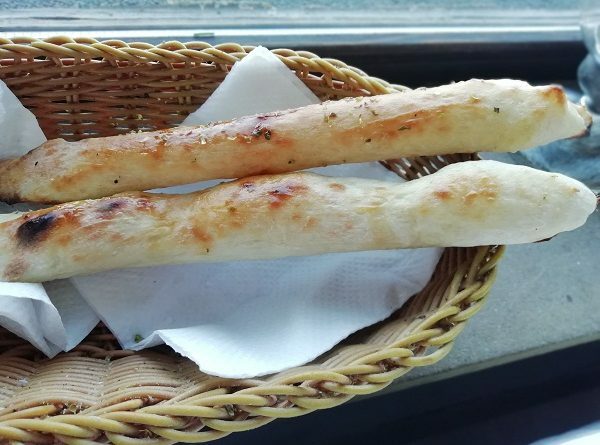 Super soft, Italian breadsticks made from gluten-free flour. This recipe is so simple and perfect for serving alongside your favorite soups, salads, roasts and any other meal! In a large bowl, mix together the yogurt, gluten-free flour, baking powder, and salt until a dough forms. Transfer the dough to a lightly-floured surface and flatten into an 8-inch disk. Cut the disk into 6 equal parts and roll each part into 8-inch logs. Transfer the logs to a parchment-lined baking sheet. In a small bowl, combine the oil, garlic and Italian seasoning. Use a pastry brush to brush the oil mixture over the breadsticks. Bake in well-heated oven for 15 minutes, until the breadsticks are set and just starting to brown.